In the wedding industry, there are fancy wedding cakes and then there are fabulous wedding cakes! Think tiers upon tiers of edible masterpieces crafted painstakingly by hand over the span of days. This cake by Debbie Wingham is not a traditional tier cake, but there’s no denying that it’s a masterpiece in its own right! 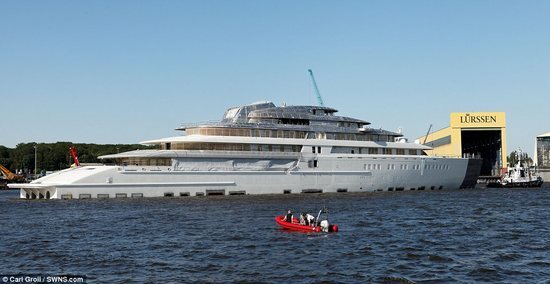 It’s a whopping $1 million that’s shaped to look exactly like a life sized bride complete with an intricately detailed white wedding dress and headscarf and her own bouquet of flowers. And did we mention the diamonds? 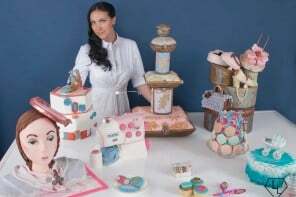 The million dollar cake will be showcased at a bridal showcase called Bride which will take place between February 7th and 10th at Dubai World Trade Centre. After its presentation the diamonds will be removed before the cake is cut and served. 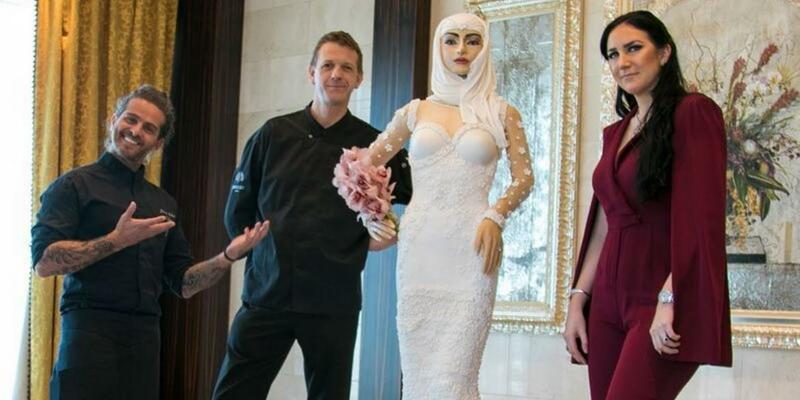 Judging by initial photos this cake bride is pretty lifelike, with considerable attention paid to both her facial features and her dress details. Thousands of iced flowers adorn the dress along with edible pearls. The cake is beautiful and it definitely makes a statement, but we’re hoping this does not become a trend. Human shaped cakes are definitely toeing the line between cool and creepy. 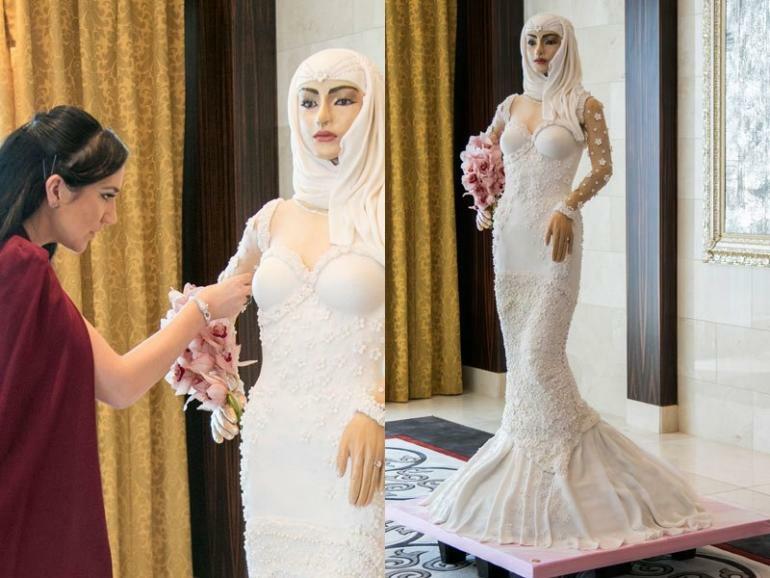 Cutting and eating a cake shaped like a woman might just be uncomfortable for some guests to skip the wedding!